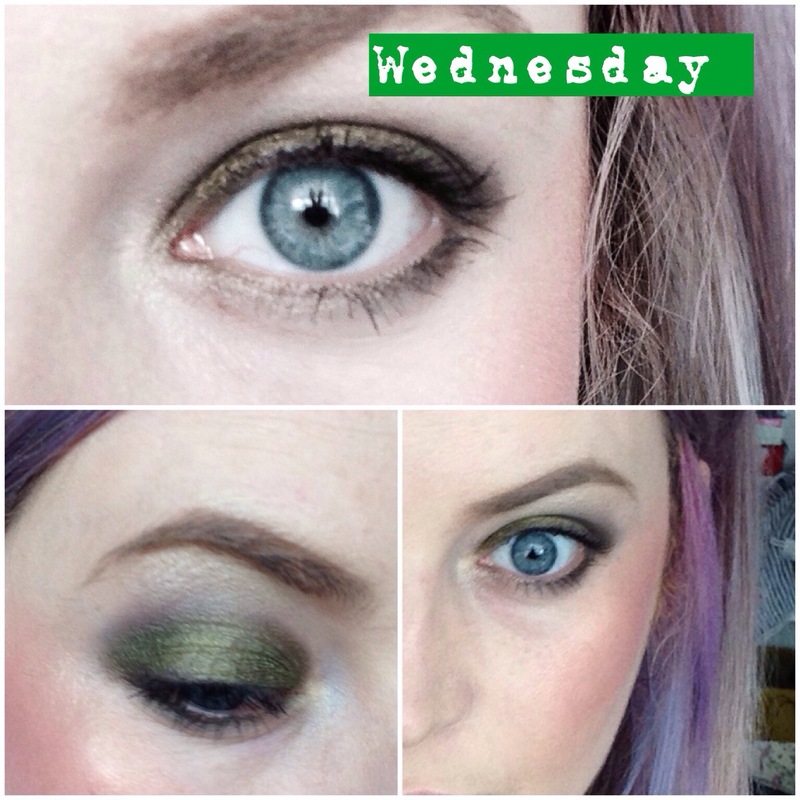 So Wednesday! It’s that time of the week!! 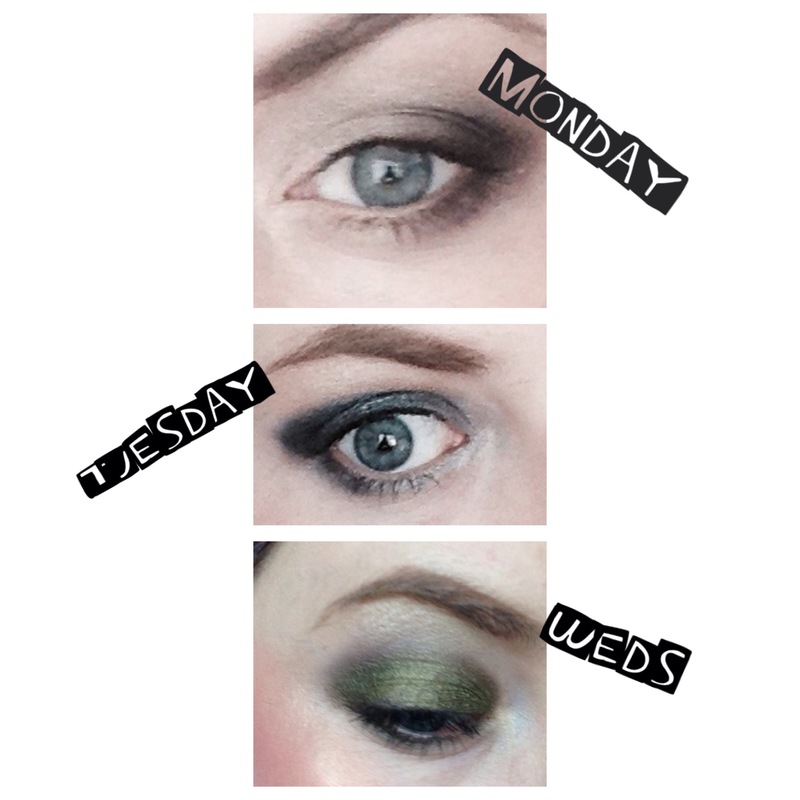 Only 2 more days till the weekend and my excitement shows through my makeup! The colours start to creep out of my make up bag! 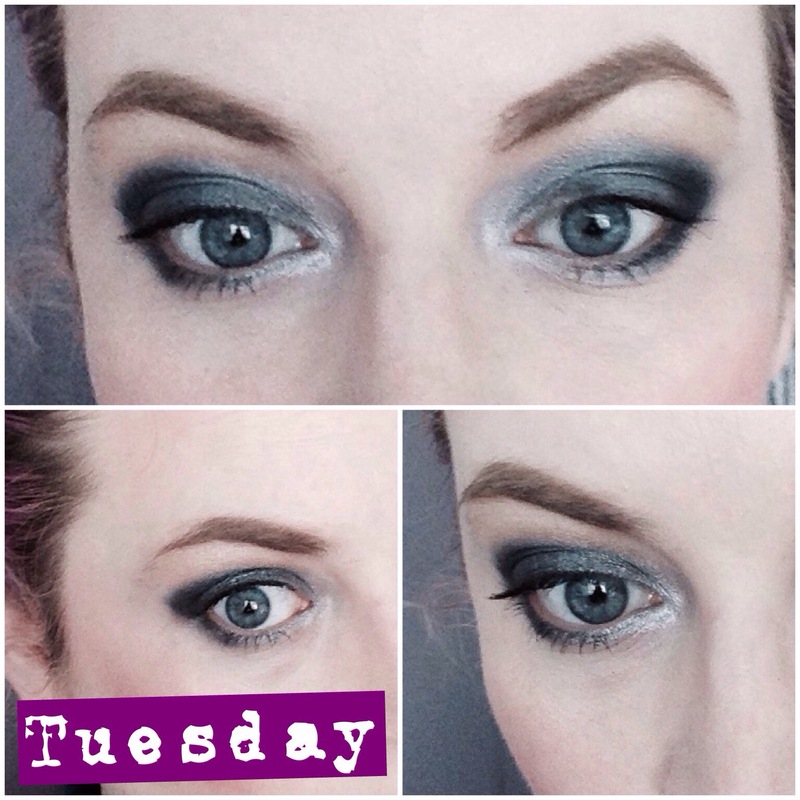 For this look I’m using another beautiful KVD palette! 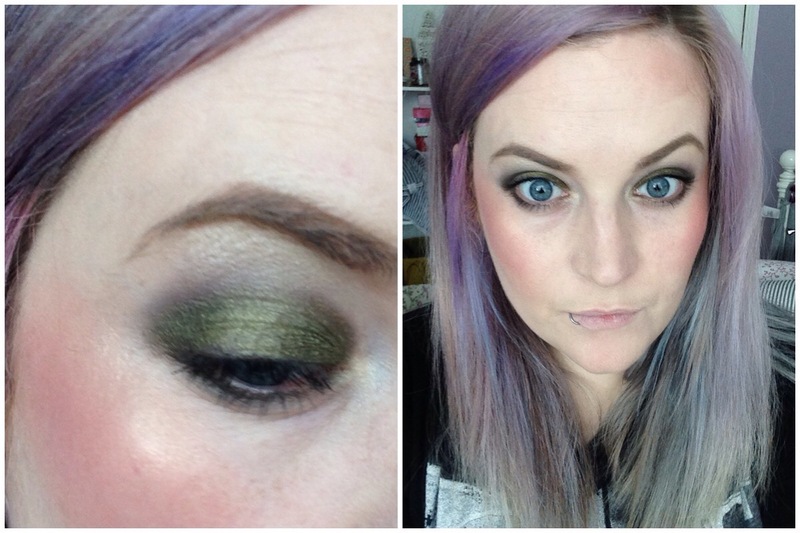 But this look would work perfectly with MAC humid or sumptuous olive! 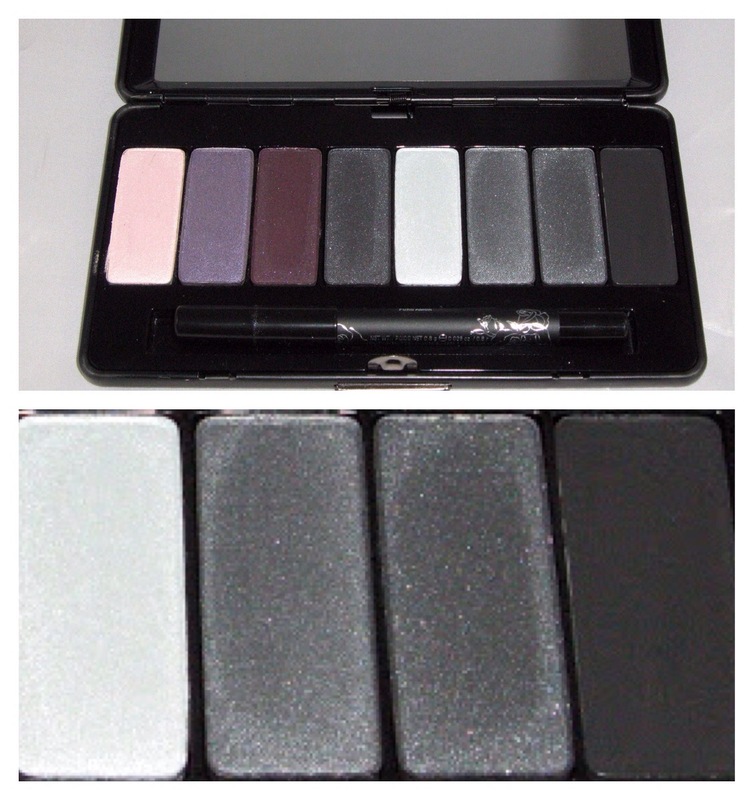 The Kat Von D pallette I’m using is LUDWIG from her true romance collection. 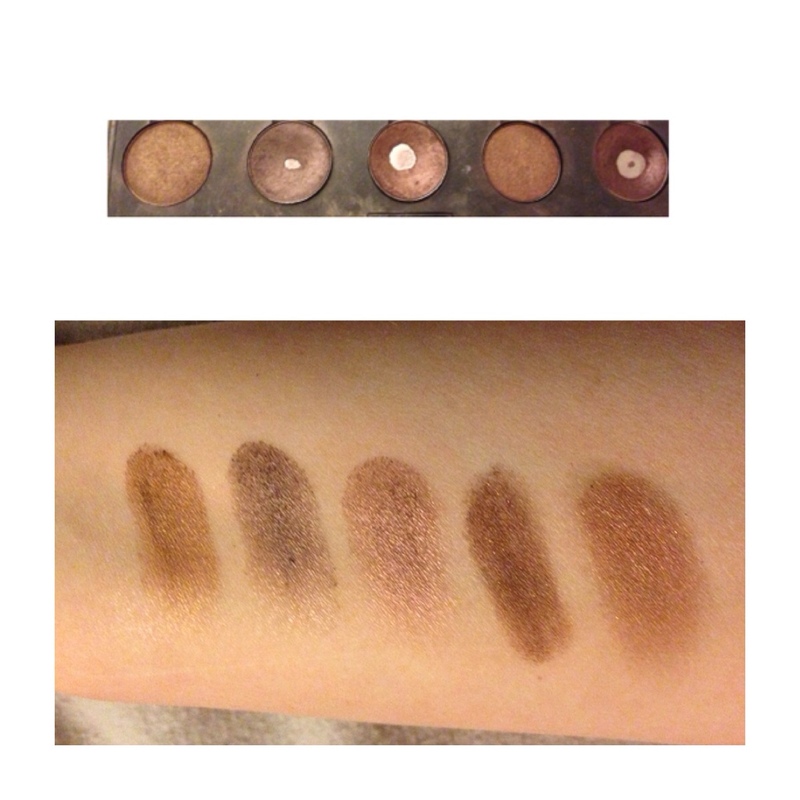 The colours I’ll be using are lucifer (matte black) orbi (dark olive) and tequila (shimmery cream). 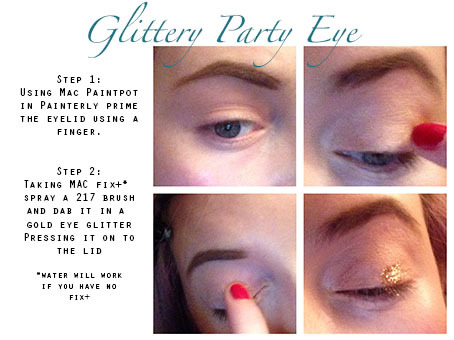 Then taking a Mac 217 using TEQUILA buff over upper lid and into inner corner of eye socket. Then using the same brush take a matte black like LUCIFER and blend into your socket and into outer v. All done!!! Talk about a five minute look! 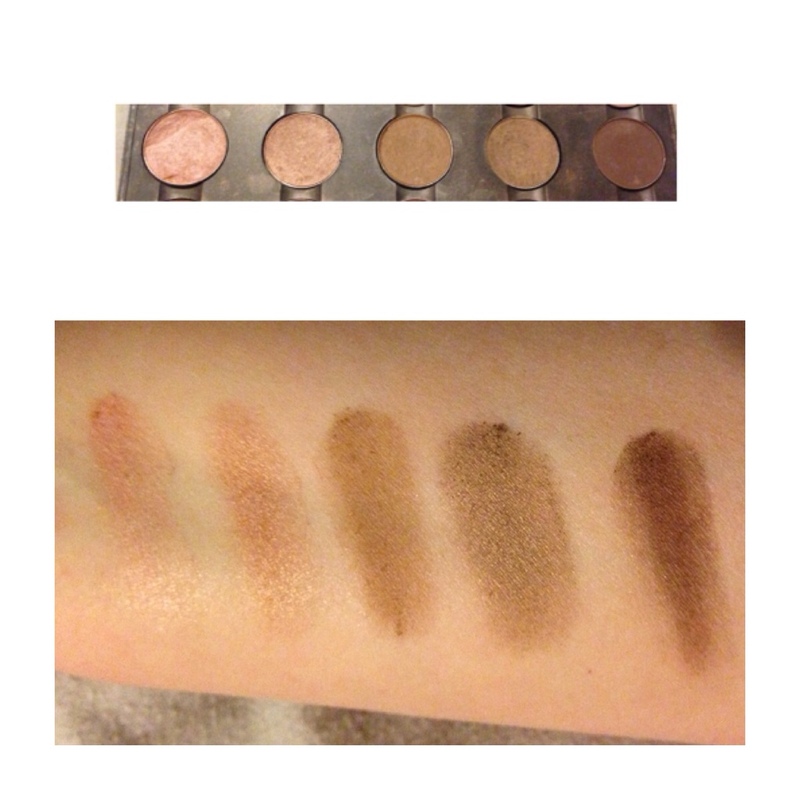 It’s such a quick look all you need is a fluffy blending brush or two (Mac 217 is my go to) and your favourite palette! 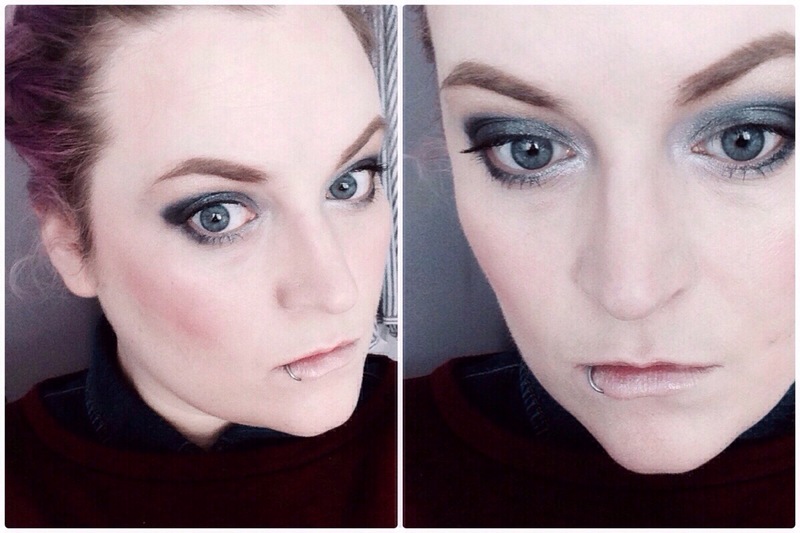 I love silver eyeshadows every once in a while because they make my eyes look like a dark greyish blue. 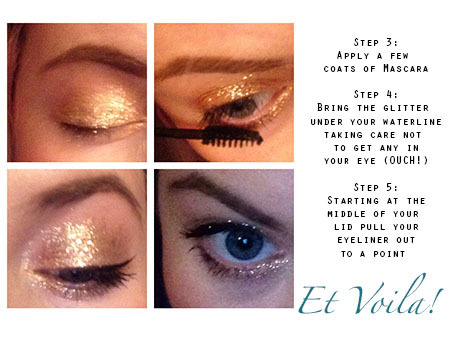 The brightest for the inner corner, arch and under eye inner corner. Perfect for a sleepy Monday morning! Zero effort needed! Then take a fluffy synthetic brush (mac 217) and blend Mac Brûlée over the lid. 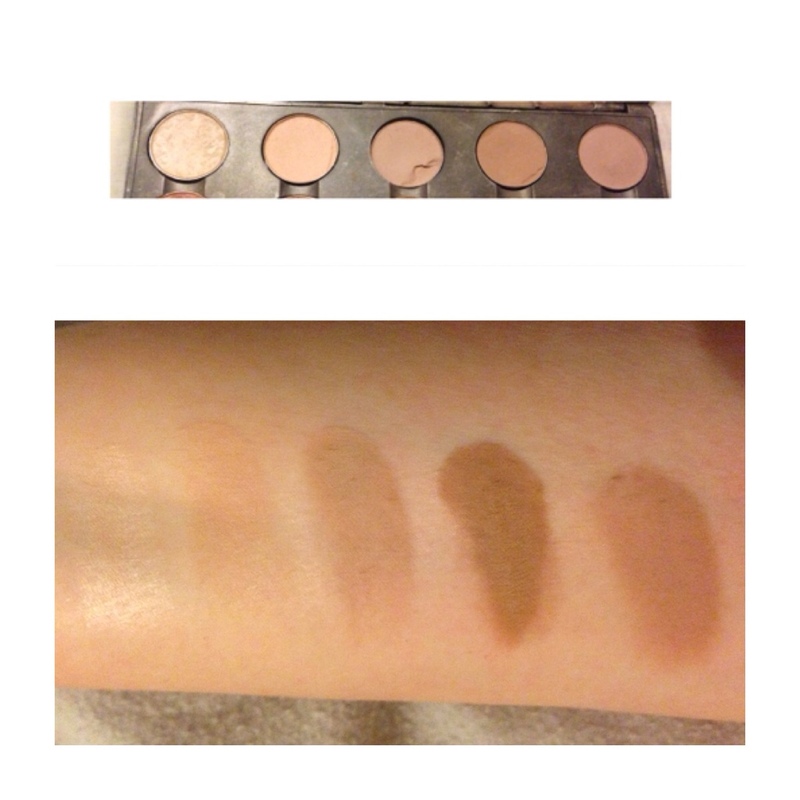 In the crease take some Mac embark and Mac carbon and blend using a 217 brush building up the coverage. 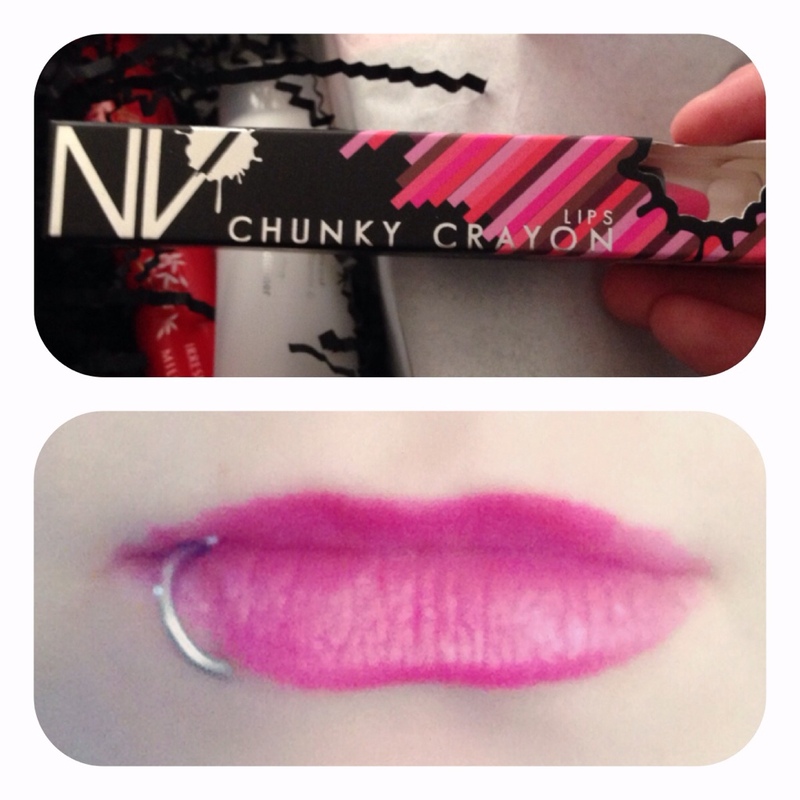 Taking NARS rue bonepart run the pencil over your inner waterline. 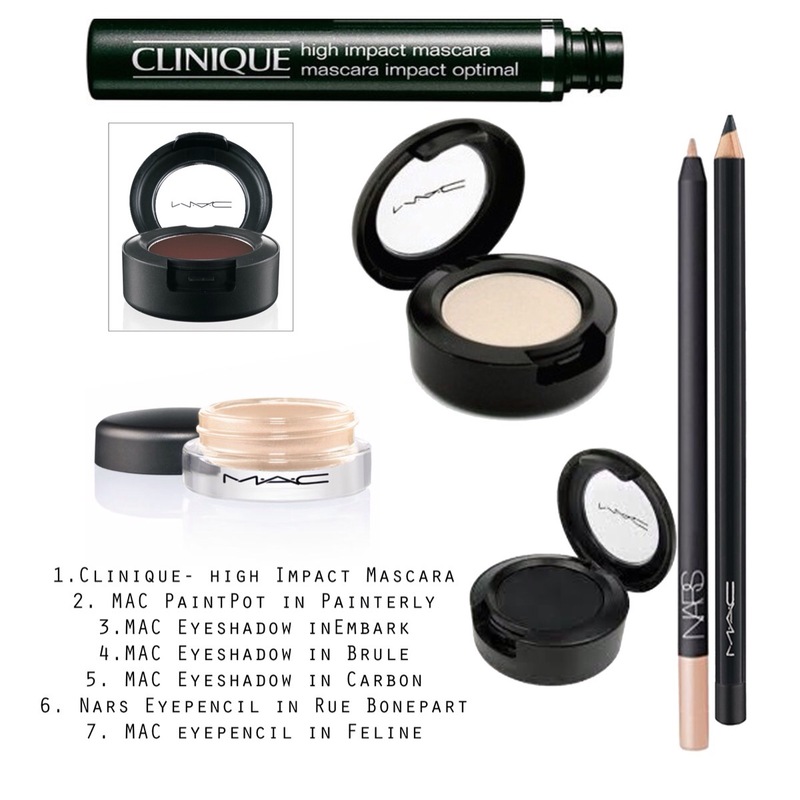 Then taking MAC feline pencil blend into base of top lid using a pencil brush (219) blend into the shadow. Build the colour gently by adding some Mac carbon onto the brush. 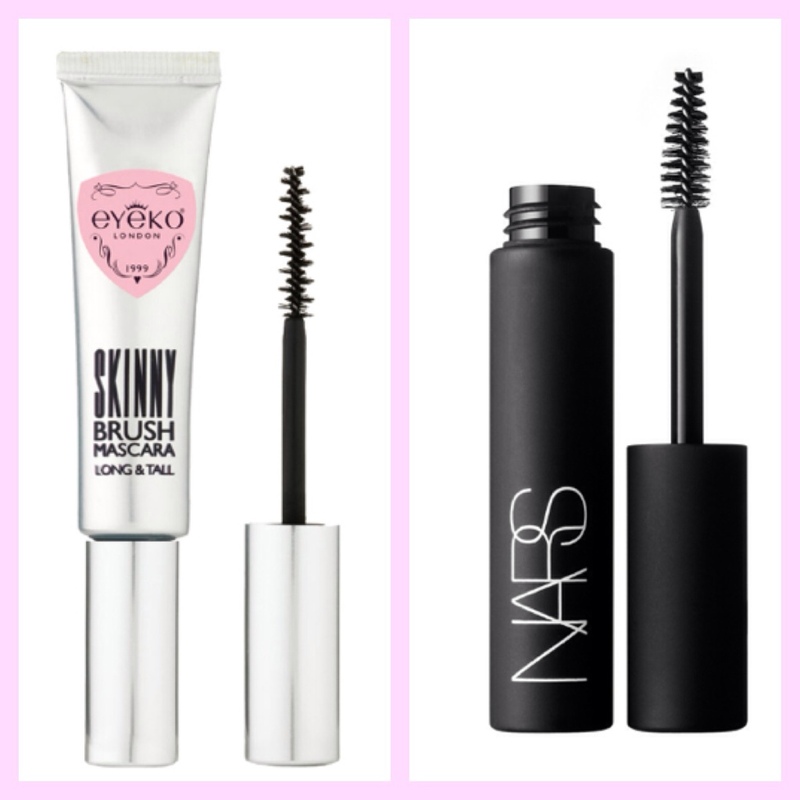 Finish with lashings of your favourite mascara! Can you keep a secret? I’m not really the best morning person, I have to peel myself out of my bed every single day, I love sleeping and I love my bed, so leaving my cosy safe place brings me immeasurable heartbreak everyday. It’s the WORST! But it’s also when my mind is busiest planning out the day ahead of me. Eventually after I tire of the same ritual of hitting the snooze button a million times well then my day starts… Hmm what will I do today?? 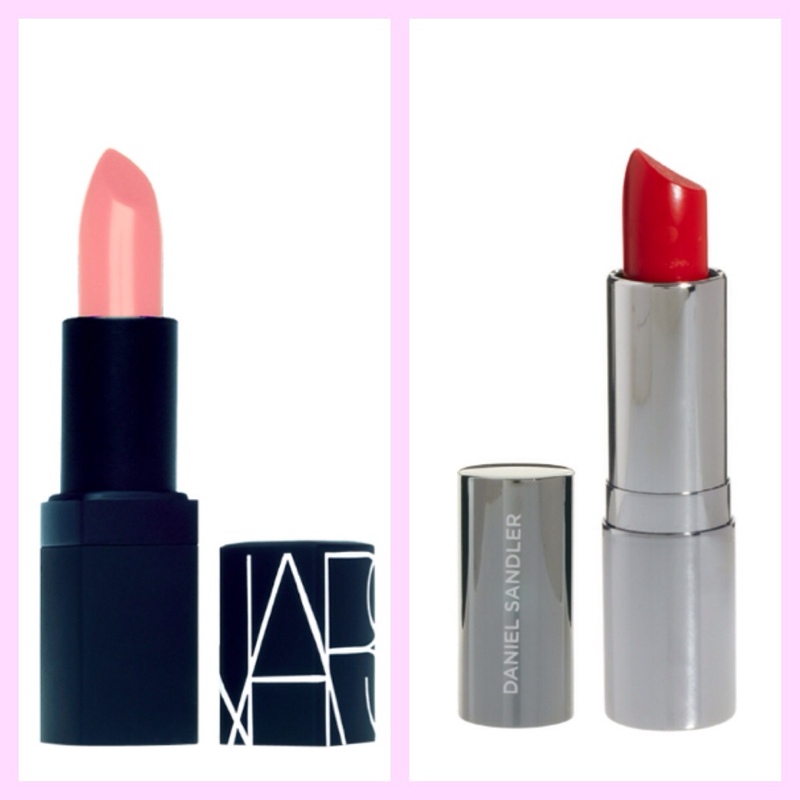 Do I want rosy cheeks or is it a lippy day? 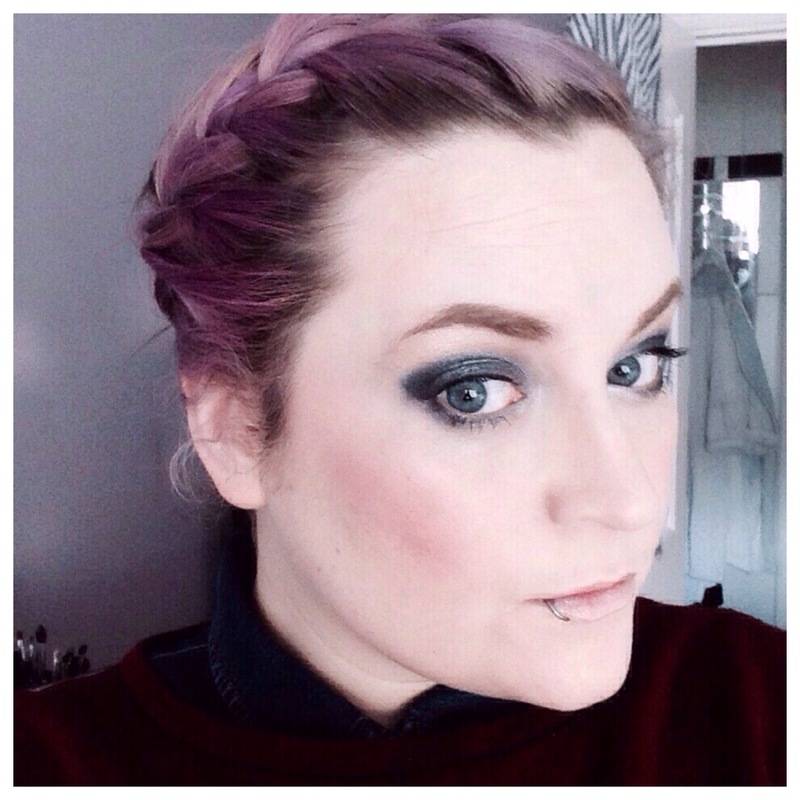 Do I want a cat eye or do I want to make my blue eyes really pop? all these thoughts race through my mind while I’m still wrapped up like a burrito in my duvet! See I learned early on that I was happy and comfortable doing my make up. 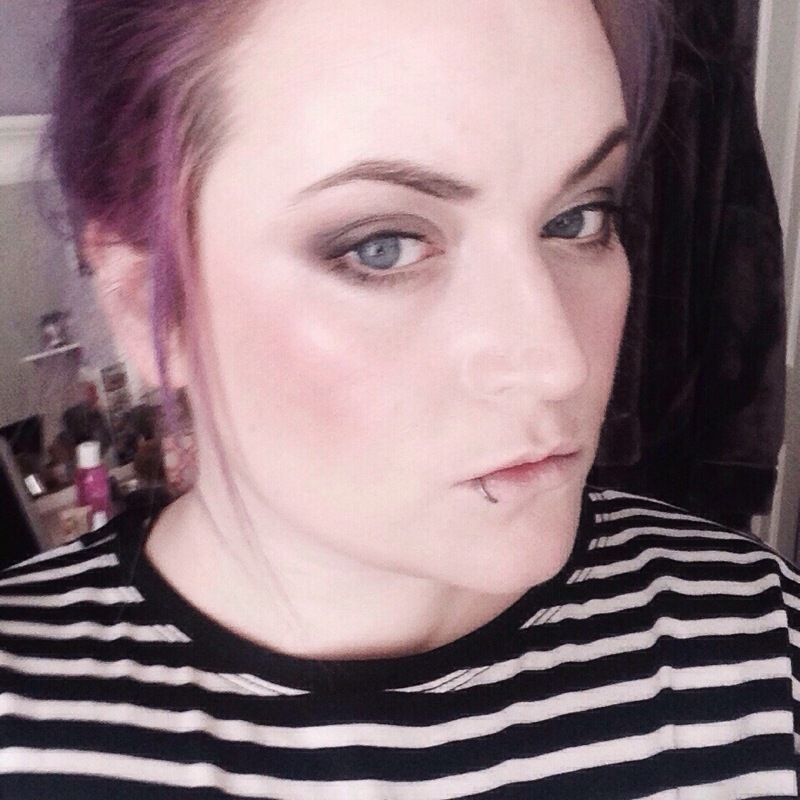 That I didn’t shy away from a smokey eye or bright colours. 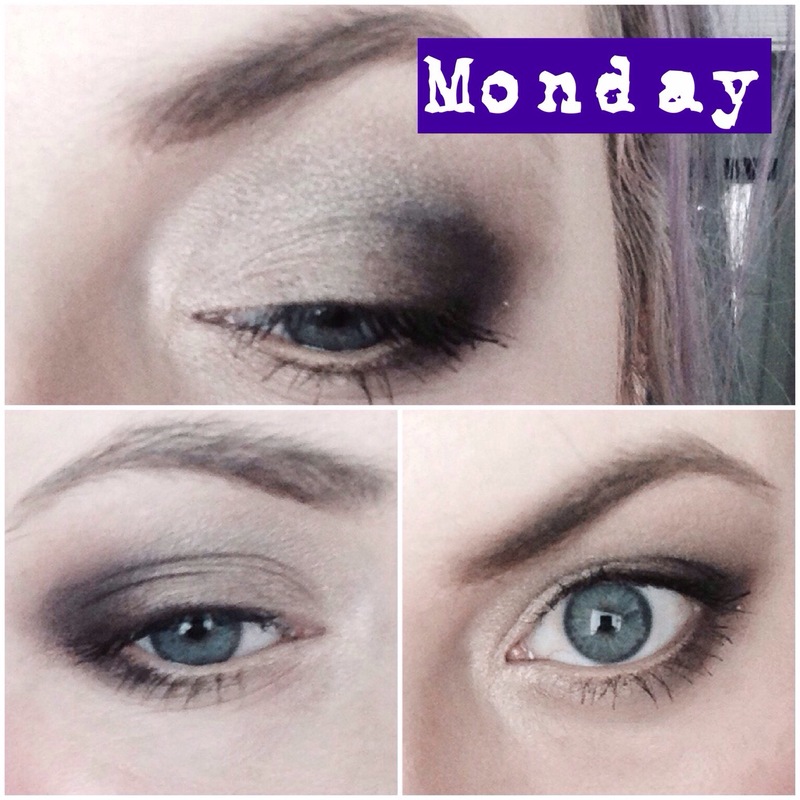 I like to just go with what I’m feeling that day, here are 5 different looks I did this week from Monday to Friday to show just how different your looks can be from day to day. 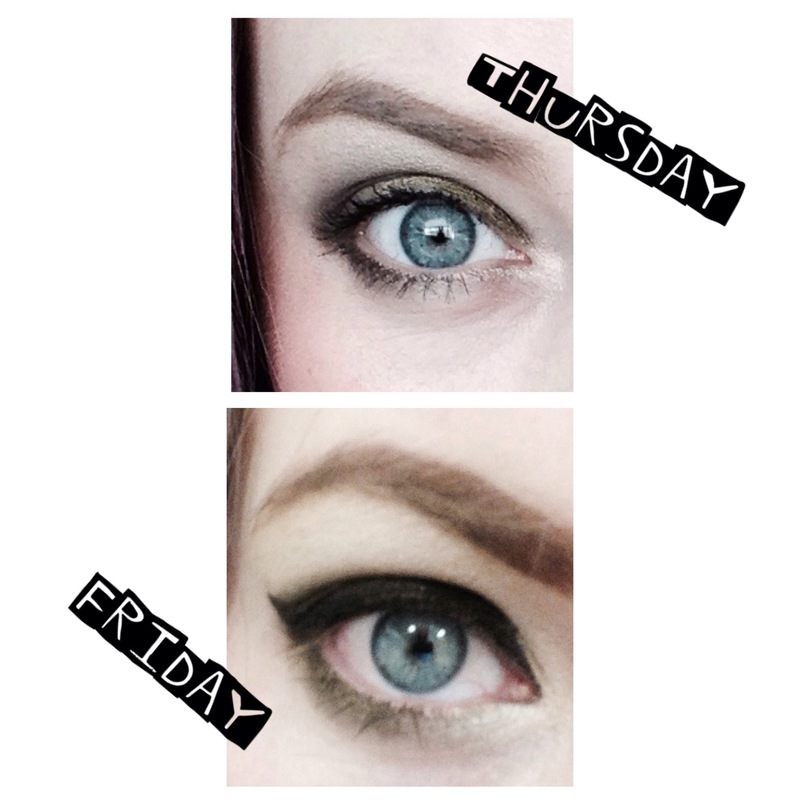 Just remember you don’t have to do the same looks every day! Be brave! Experiment! 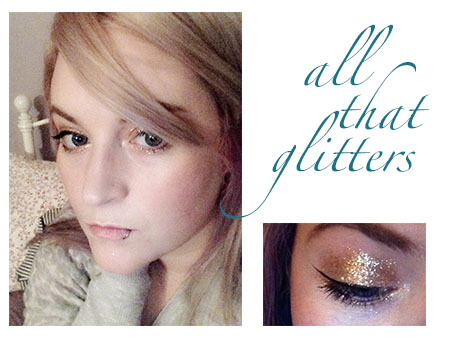 All that Glitters – Party worthy Eyes! Oh hai!! It’s been ages!!! I’ve been busy!really??? I know I’m sorry I’m getting my act together!!! So I LOVE tk maxx I’d go so far as sayin I’m a little obsessed. 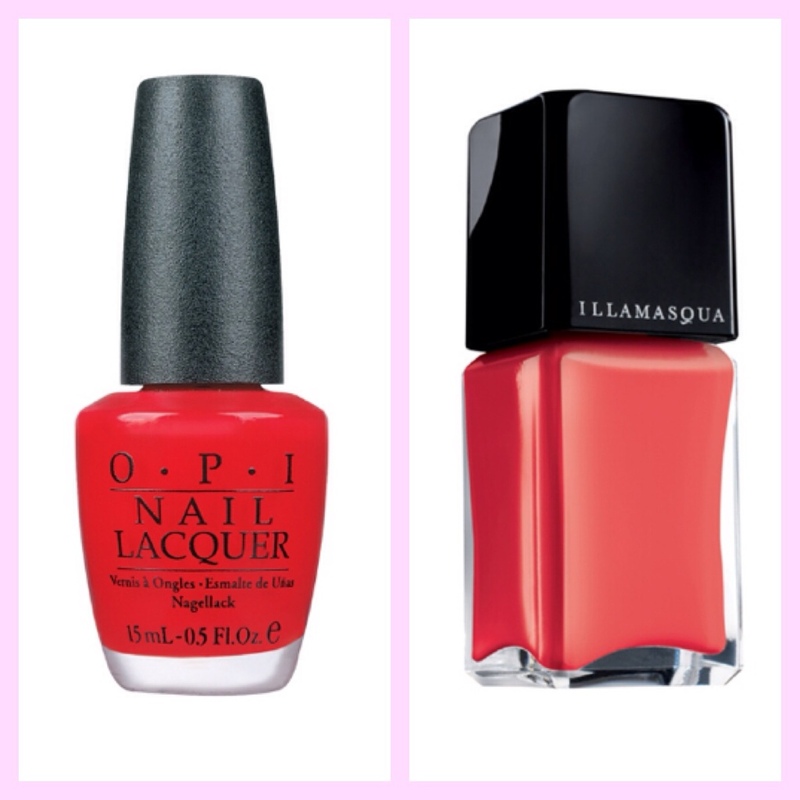 The beauty department is insane for bargains just the other day I found some stupidly low priced polish sets from Nails inc, Butter London, OPI, Essie & loads more for a fraction of the price! One of the sets I picked up (for €12.99!!!!!) 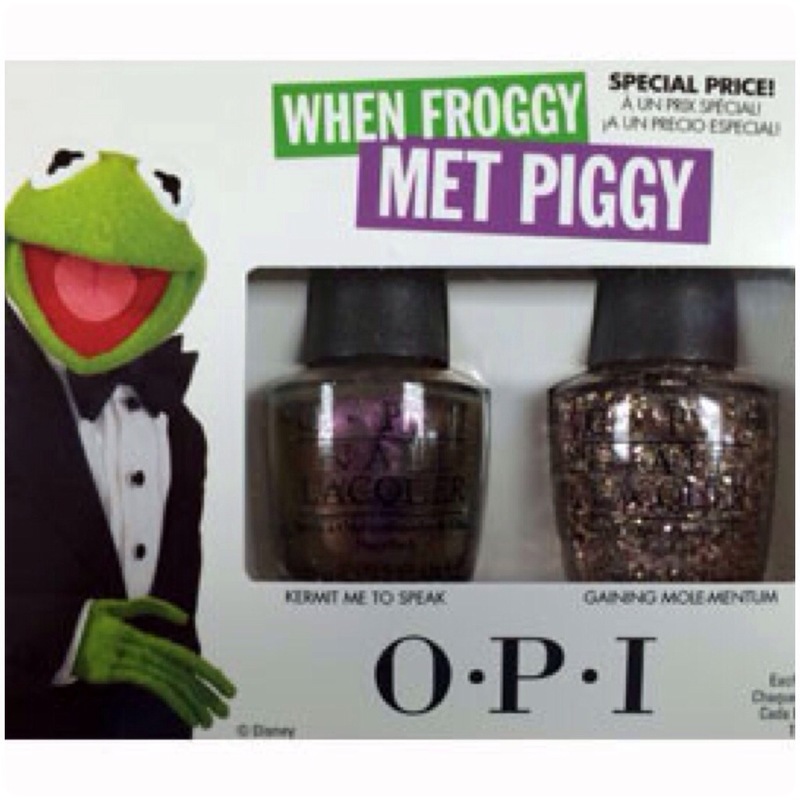 was this beautiful set from OPI inspired by the beautiful miss piggy and her beau kermit the frog. 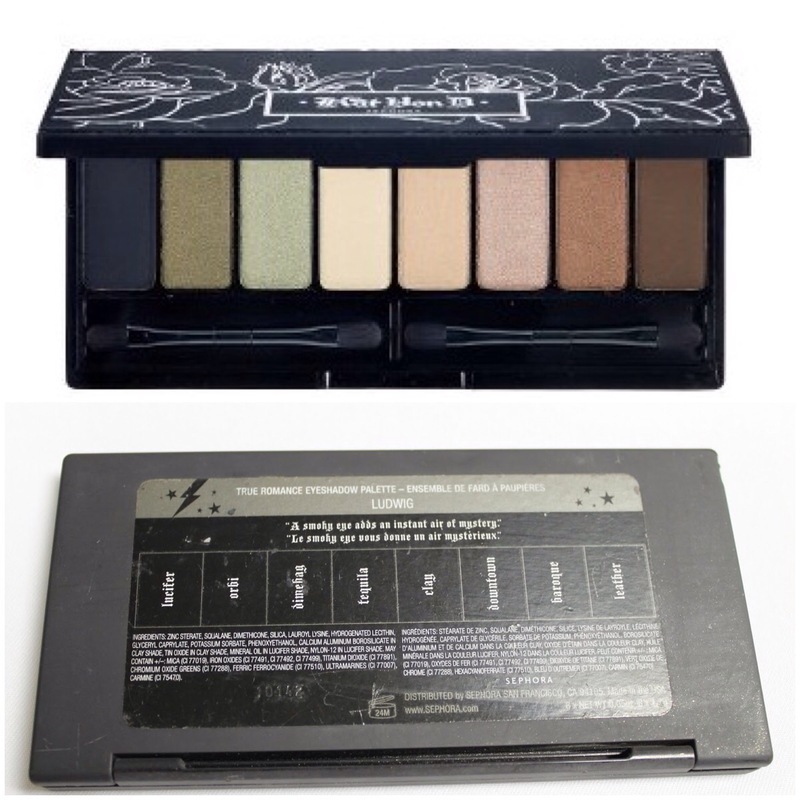 The first shade is a beautiful taupe colour the perfect mix of purple and green depending on where the light hits it (think kermit & miss p’s love child) kermit me to speak is wonderfully pigmented. I only needed 2 coats for a opaque satin finish. No streaks! 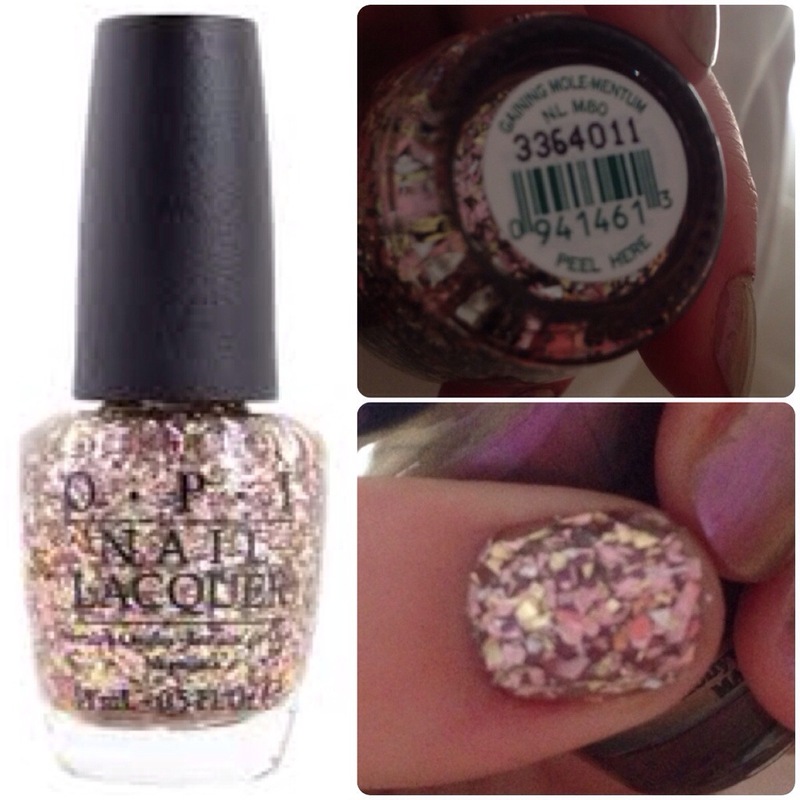 As always OPI deliver a knockout polish! Gaining mole-mentum is lovely and very sheer meaning it’s buildable which allows you to control the amount of glitter applied. 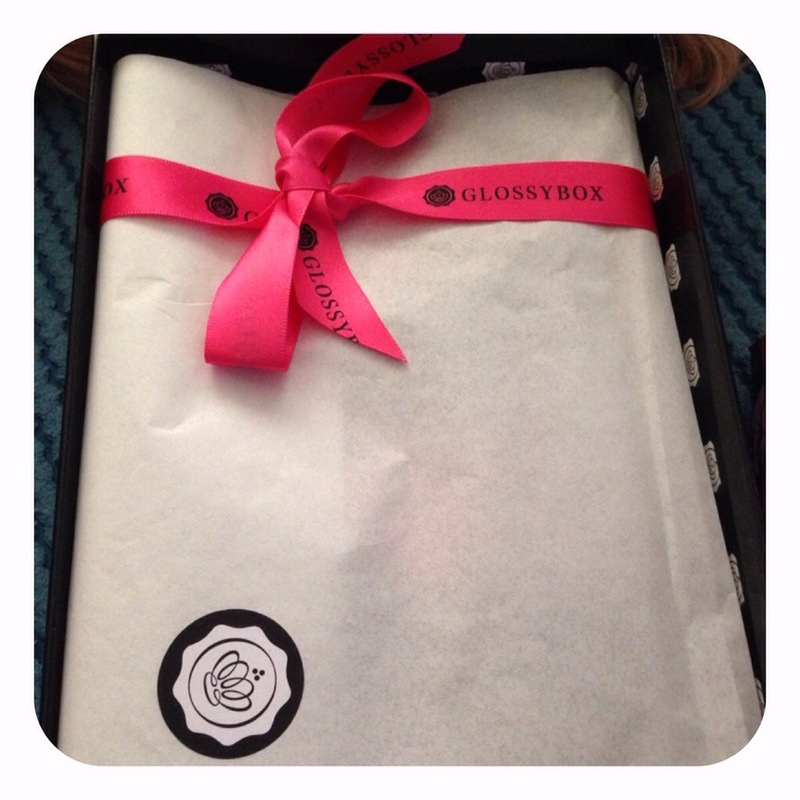 My glossy box arrived this morning! 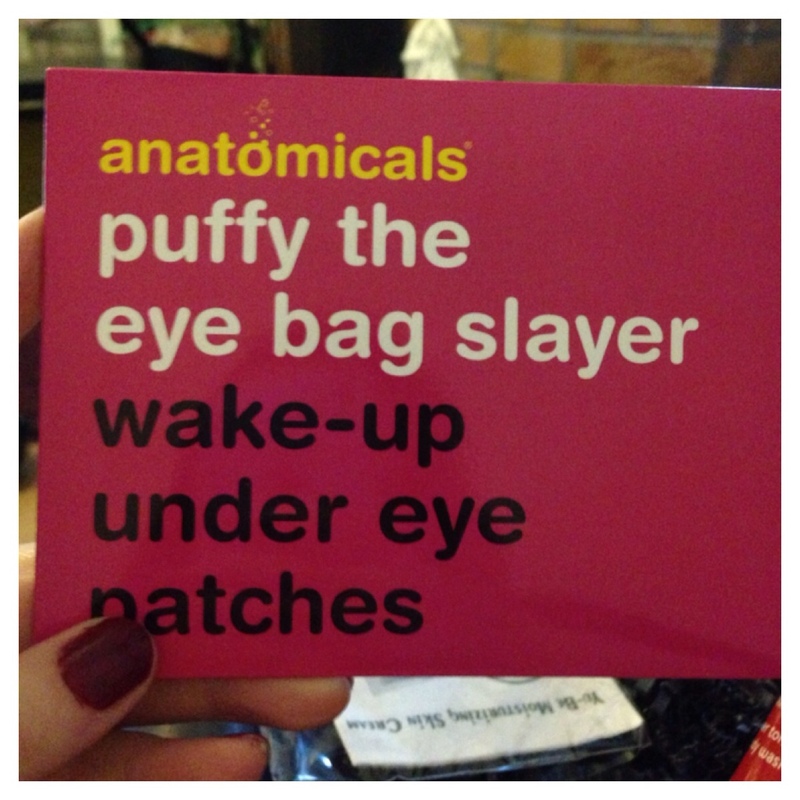 So I cracked it open and not too shabby glossybox you’ve done well. 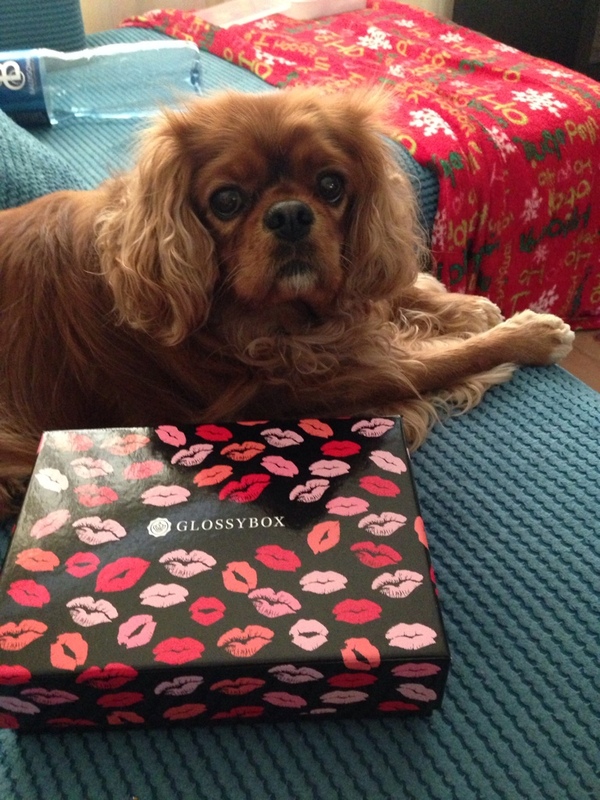 That little beauty up beside the glossy box is the love of my life poppy! Isn’t she adorable! 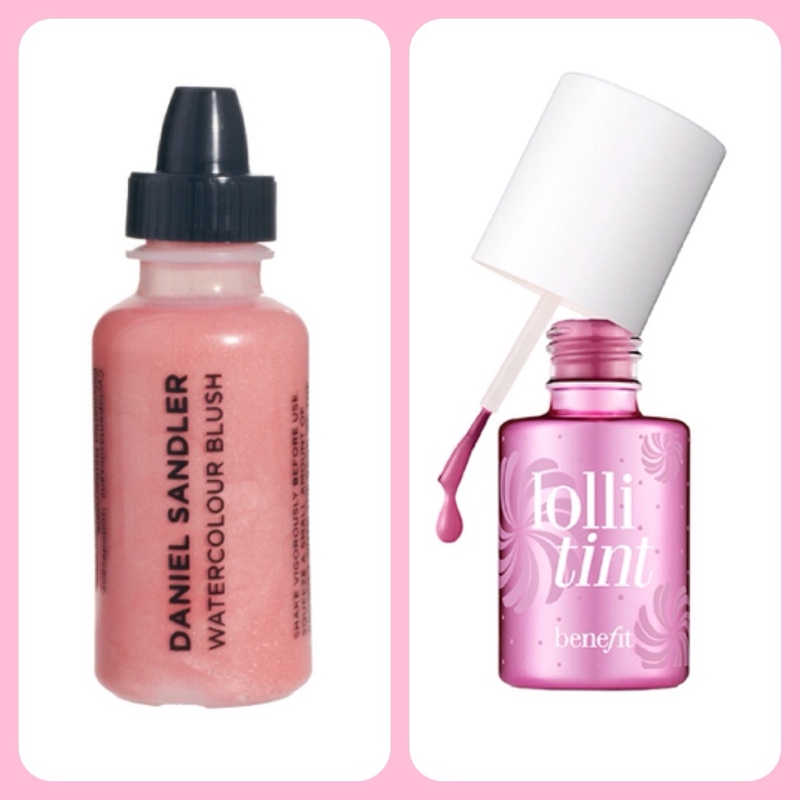 So get those pouts ready for smooching those lashes ready for fluttering and pinch those cheeks. 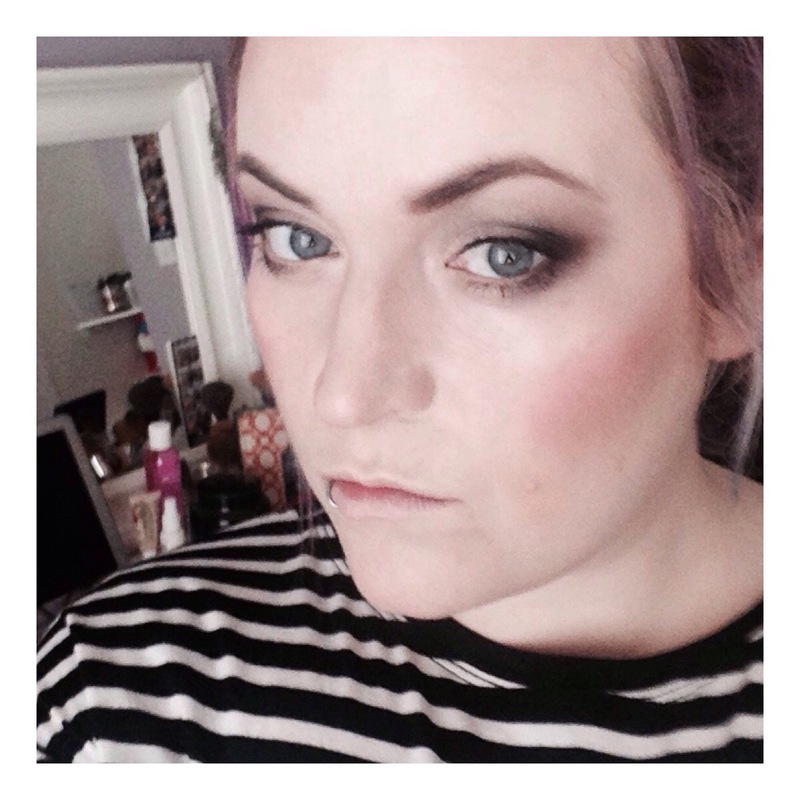 This month is all about lips lids and lashes. 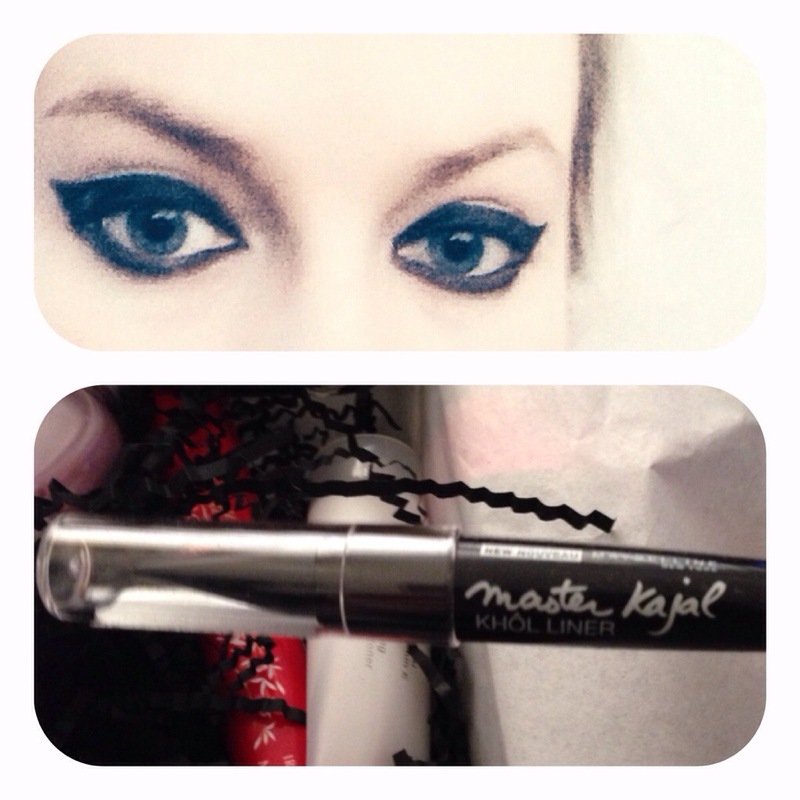 I am a total make up friend and I love nothing more than a snoop around peoples make up bag. One of my best friends Christine and I are total mac addicts and are always on the lookout for neutrals to fall in love with. 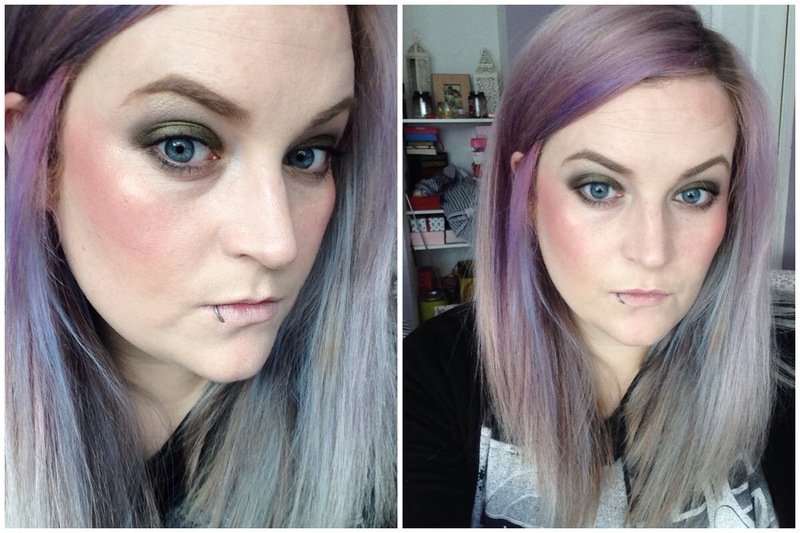 The great thing about having a bestie who has the same hair and eye colour it’s great to see colours that look great on her knowing they’ll look almost as good on me ;). I started out with a quad with four shades years ago Im pretty sure I bought ricepaper, nylon, brûlée and satin taupe. 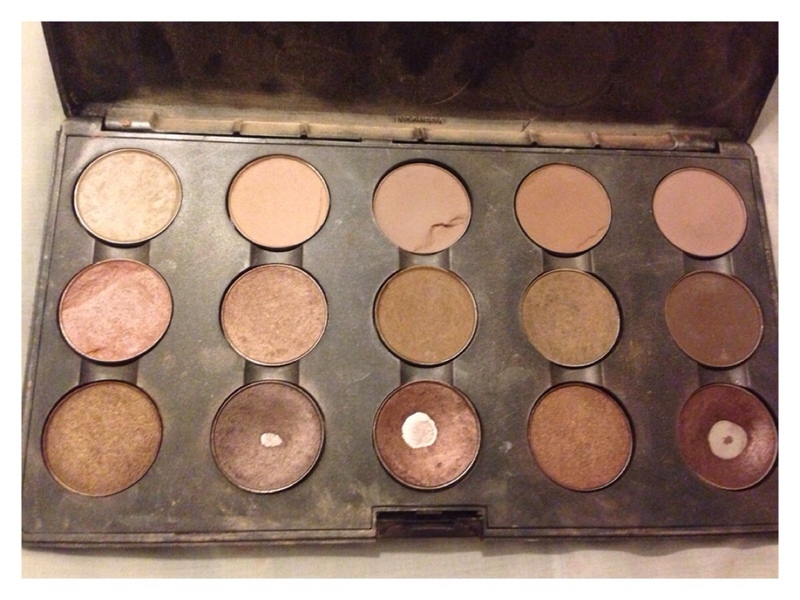 I think I’ve hit pan on satin taupe about 5 times now and almost as many on woodwinked! I have hit pan on a good few at this stage some I re purchased some not so much. (L-R) Shroom, Orb, Bisque, Kid, Malt. (L-R) Jest, All that glitters, Soba, Patina, Espresso. My glossy box finally arrived! I stress finally as I was beginning to think it was gonna be a no show! February’s one is nearly due! 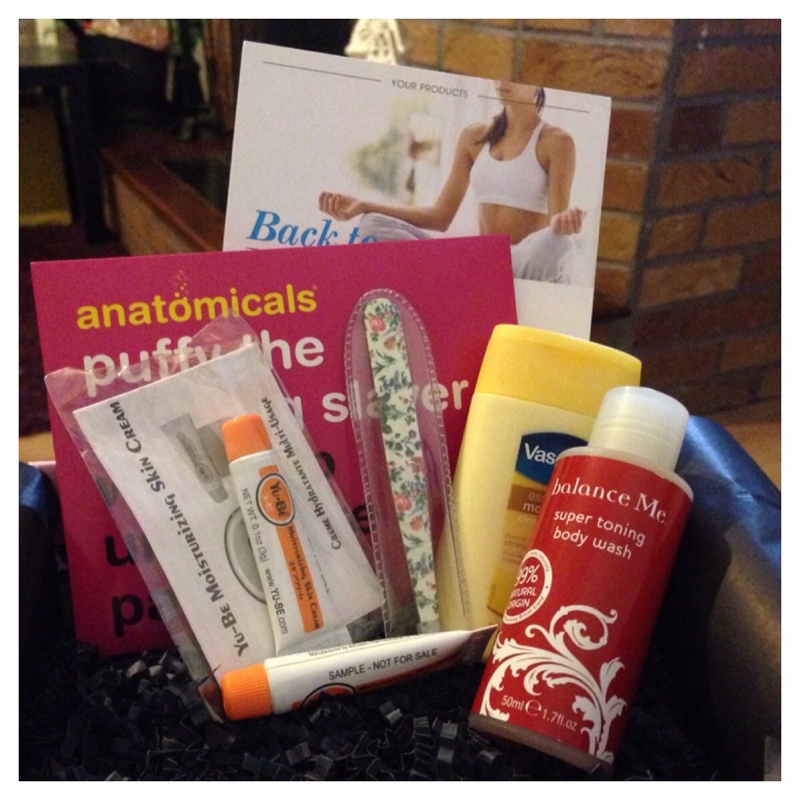 Anyway I digress…the theme of this months glossy box is Back to Basics. I’ll be honest though it seems the glossy box HQ just make these up as they go along as far as I can see there is no real link between the “theme” and the products. €15 a month it’s always a delight to get a box of goodies through the door. 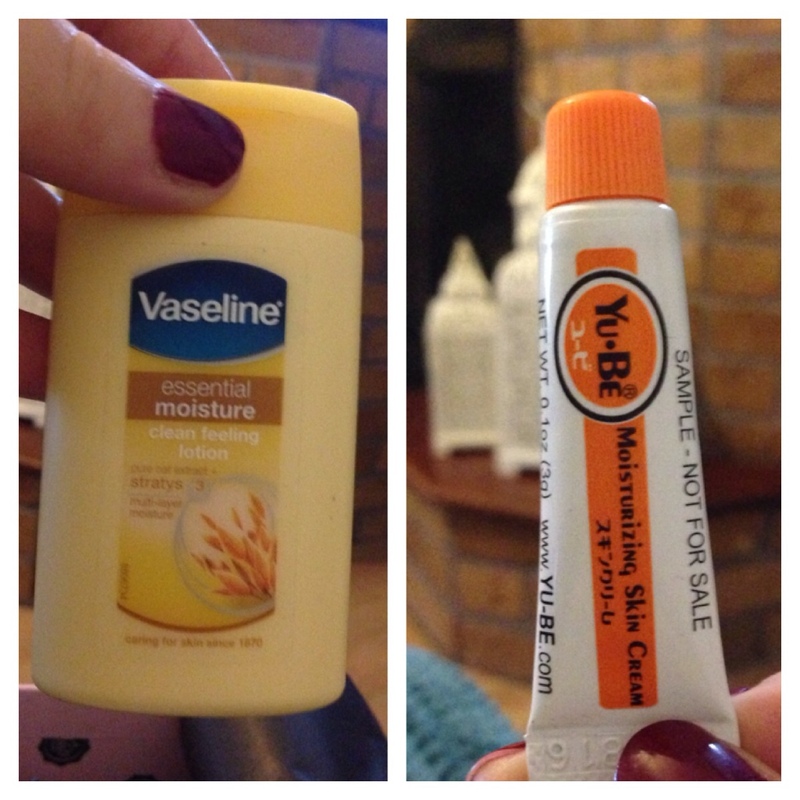 So far I love the yu-be skin cream it works wonderfully to protect skin and lips from the nasty winter weather! 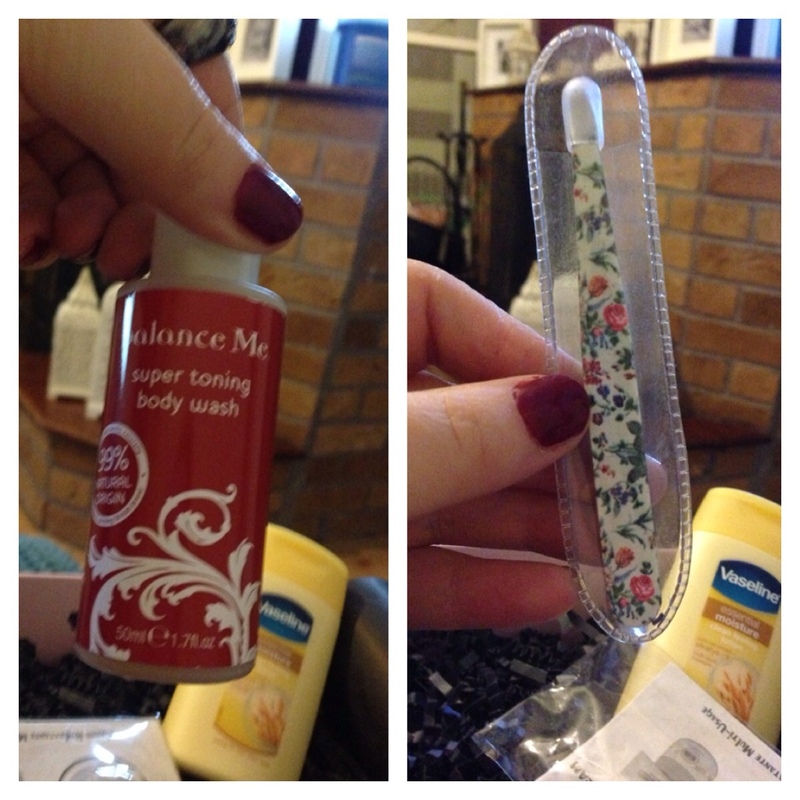 Also have you seen the tweezers it’s adorable!! !